Did you know that an estimated 178 million Americans are missing at least one tooth? If you’ve recently found out that you need to have a tooth extracted, at least you’ll be in good company! But even with that small consolation, we understand that many people don’t look forward to dental work, even under the best of circumstances. As a dentist in Richardson who has done countless extractions, we wanted to write a blog to explain a bit more about this common procedure so that you understand why it’s necessary and know what you can expect. 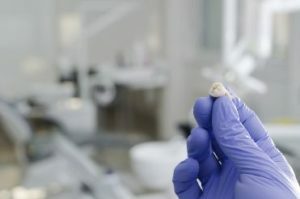 Injury – If a tooth has been knocked loose and you weren’t able to get attention for it soon enough, or if a tooth has been broken into several pieces, it may not be salvageable. Infection – Sometimes an infection can occur that irreversibly damages the root of the tooth. Large cavity – If a cavity is large enough it can destroy the majority of the tooth structure, leaving nothing behind to “hang on” to a filling or crown. Extensive fracture – If a crack or fracture is vertical, or has extended through the top layers of the tooth to the nerve, the tooth may need to come out. Crowding – Sometimes the jaw simply isn’t big enough to accommodate all of the teeth and extracting one or two is the easiest option for creating space. Gum Disease – Gum disease destroys the gum and underlying bone that support the teeth, and in advanced stages, the teeth can become loose. If this makes chewing painful, it’s usually best to remove the affected teeth. If you need a tooth extraction in Richardson, we’ll start by making sure you’re completely numb and comfortable. After that, we’ll use special tools to remove the tooth. You won’t feel pain, but you’ll most likely feel some pressure. Depending on the type of tooth being pulled, we may put sutures in to help with healing. You’ll be given post-operative instructions so you know what to do in the days immediately following your appointment. Recommendations include eating a diet of soft foods, avoiding smoking or using a straw, and gently applying ice to the side of your face for 20 minutes at a time to reduce inflammation. Even though the prospect of an extraction can feel a bit daunting, the procedure is faster and easier than you may have realized. It can make you more comfortable and will benefit you in the long-term! All of the dentists at Canyon Creek Family Dentistry are dedicated to providing outstanding, comprehensive dental care to their community. They understand that dental work can feel intimidating, but with many years of experience and a compassionate chairside manner, they put even the most phobic patient at ease. If you have any questions, they can be reached via their website or at (972) 644-3800.